Ah what an interesting challenge Marianne has set us this month! “Repetition”. My first reaction on seeing the topic was one of panic. Did I understand it? Could I find anything that would fit? A plan emerged, and my hopes were pinned onto a visit to take place the following Saturday. But then, totally unexpectedly, the metaphorical lightbulb lit up and I saw it. In El Museo de Miel in Colmenar, showing friends round, there it was. And suddenly I understood completely what “Repetition” could be. I put my hands up to the fact that this is a “fake” photograph. Well it’s a real photo, but of course it is a model of a beehive. Believe me, I wouldn’t have got in that close if they were real! It’s part of the display at Colmenar’s Museo de la Miel. 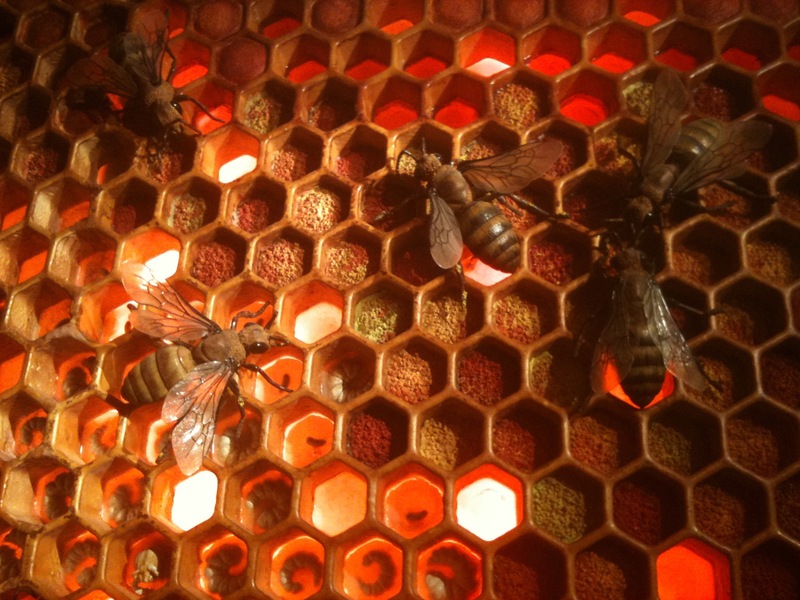 Very fitting for me, as colmena is the Spanish for beehive – see my blog post about the museum at http://bit.ly/TRk71V. I’d been in the museum shop many times to buy caramelos de miel, honey sweets, and of course the honey itself. I finally went around the exhibition part this week and this picture is the result. Although the contents of the hive cells are different, the repetition comes from the exactly repeated shapes. Right. Back to the theme. A few days after the visit to the honey museum, the planned trip took place when I was convinced I’d get my perfect “repetition” shot.. Saturday was the Día de las Pasas in the village of La Viñuela. 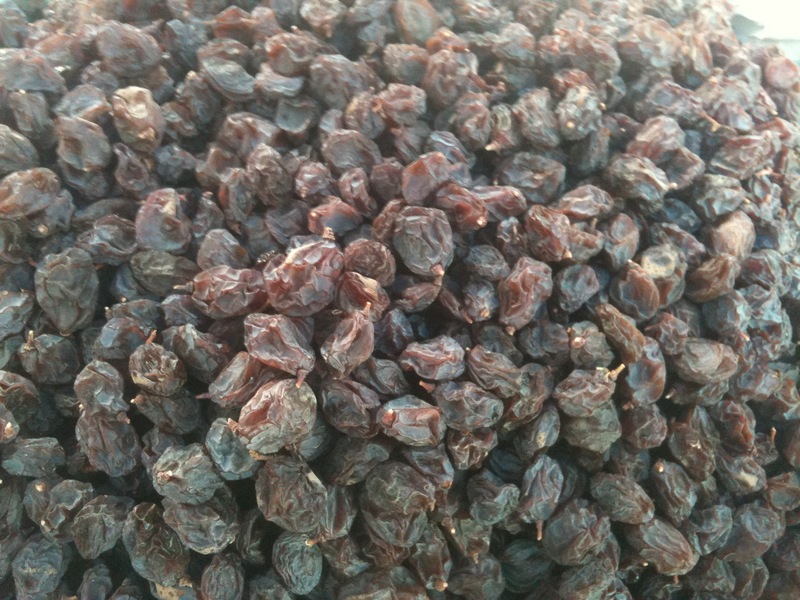 The Festival of Raisins. Taking Gordon, my visitor, to the raisin festival was the ideal opportunity to visit “the other side” of Lake Viñuela for the first time. I think the event livened up later on, but we were there near the start. The benefit of that was that the tasty displays on all the stores were untouched, enabling me to get the picture I wanted. Like the honeycomb picture above, the repetition comes from the large numbers of the same item, but at the same time I like being able to notice the differences as well as the similarities between the raisins, showing in fact that (just like fingerprints) none of them are the same at all! This entry was posted in Conejo Blanco Blog Hopper, Spain and tagged Andalucia, Axarquía, Colmenar, Connejo Blanco Blog Hopper, Honey, SpanishBlog, Tamara Essex by tamaraessex. Bookmark the permalink. What a splendid entry to the Challenge, Tamara! I think, as with many challenges, the theme is totally open to your own interpretation of the word. When I have seen other people´s entries I have sometimes been surprised with what they have come up with – but that´s the nature of life. We are all different! OK, I´ll hop over and have a look at your featured blogs and say hello to Bob and John. Love the beehive, even if it is a model.